Battle For Azeroth Alpha: New Pets, Updated Models, & More! There have been a few new pets discovered in BFA so far. We can't wait to meet this new friend, but for now we'll have to settle for Tottle's adorable icon (pictured right, image courtesy of Wowhead). 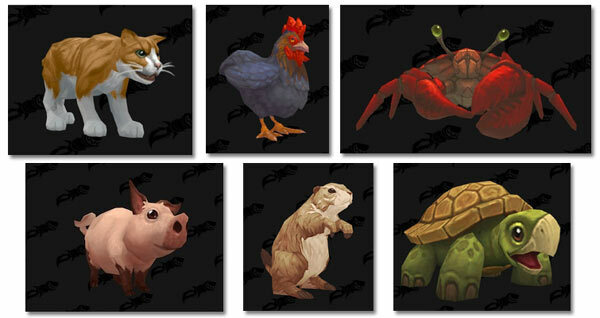 We'll learn more about these pets and more as testing progresses, so stay tuned! The topic of higher resolution models was very briefly discussed during BlizzCon 2017, and now we have our first look at the updated pet appearances. What would an expansion be without new creatures though? 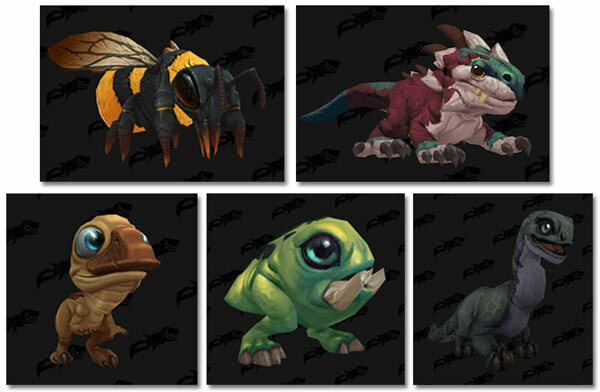 Here are a few new models that we hope belong to collectible pets! Check out Wowhead's BFA Mount and Creature Models page for full previews of each updated and new model. Also browse through MMO-Champion's page of BFA Creature Models. There are also many new icons, some of which might belong to battle pets. Browse through them all on Wowhead's BFA Maps and Icons page. When are they going to make a Duck or a Goose. A dozen cats and rabbits. but no ducks. The new frogs are amazing, but I hope they can make their toes not so boxy. I’m so excited, can’t wait to see what else they add! That bumble bee <3 so sweet. Sounds like tailors will be able to make hot air balloon pets in BfA, according to Wowhead information. I really hope so, because I love hot air balloons (how adorable would that be?!). Really hope we'll get as many pets in BfA as we did in Legion--or even more. I love the start of an expac because I get to run around and catch tons of new pets. Looking forward to adding all new pets to my collection! Aww, nice! I like the new models but I do kind of wish Speedy would stay his old model. Even though it's lower polygons I'm so used to his sweet little face now. All so cute, I don't know what those bottom picks are but they are small with Large eyes, I NEED THEM! Definitely the fat cat. And the Tuxedos, oh god the Tuxedos. Been waiting for one forever since my own cat is a Tux as well :) Will love to have him with me on Azeroth as well!